or flat from a private landlord? Was your tenancy deposit protected? The vast majority of tenants who rent a property in the UK from a private landlord are given assured shorthold tenancies, usually for 6 or 12 months. Tenants are usually required to pay some kind of deposit when they first move in. More often than not, this will be one month’s rent, but could be more or less depending on the preference of the landlord. Landlords are legally required to place your deposit in one of the government approved tenancy schemes within 30 days of receipt of the money. It is important that your rental deposit is protected to avoid the potential for any disputes with your landlord when your rental agreement finally expires and you leave the property. Information explaining how the deposit has been protected. If you think that your landlord has failed to correctly store and protect your deposit, you can check the websites of the three government approved schemes, which all provide the opportunity to check their databases for your details. Unfortunately, there is no one place where you can check all three simultaneously online, but if you contact our team, we will be more than happy to run a check for you! Remember, these schemes only cover deposits stored as part of an assured shorthold tenancy. If you believe that your landlord failed to store your tenancy deposit according to the law in one of the approved government schemes mentioned above, you could be entitled to make a tenancy deposit claim. If you think you may have a tenancy deposit scheme disputes with your landlord, we will be happy to investigate the situation free of charge and potentially represent you in a claim for compensation on a no win, now fee basis. 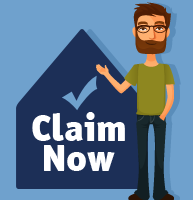 Simply provide us with a few details about your tenancy to start your claim.